You can order ribbon through me at my bigcartel site and my etsy shop. Sometimes I am caught up and frayed around the edges and I can’t see the forest through the trees. For the past year this has been the most hit page on my blog and I don’t keep it as up to date as my home page. Now how silly is that? Ever since I invented my silk shibori ribbon I have tagged this blog and my various other pages and sites with those three simple words. I recently uploaded a simple (and currently unfinished) website directing people here to my blog and to my other online profiles- Facebook and Instagram. I am in a constant state of changing and things are never up to date in all of my profiles at the same time- so I hope you’ll take a minute and poke around a bit even if you are here just for the ribbon! Leave me a comment, it’s always a pleasure! I’ll be back soon to update upcoming events- in the meantime, you can look here or here. 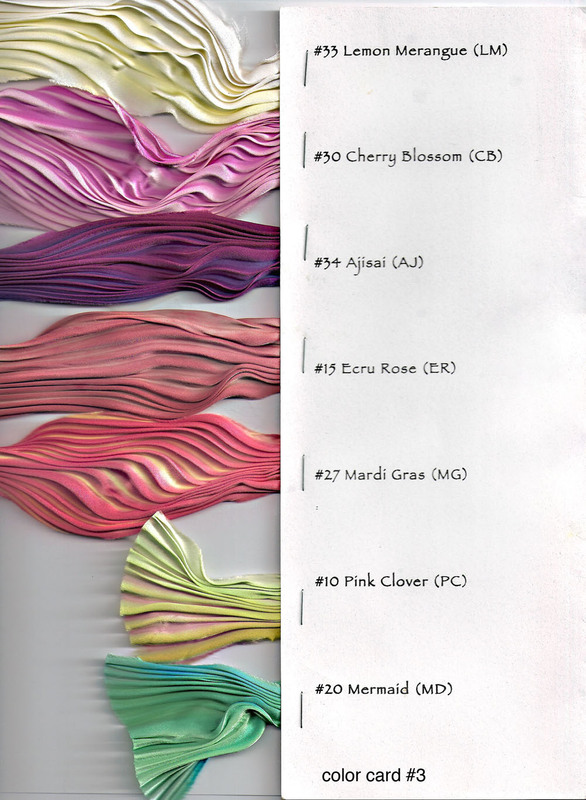 You can order ribbon through me at my bigcartel site or through one of the retailers listed below. 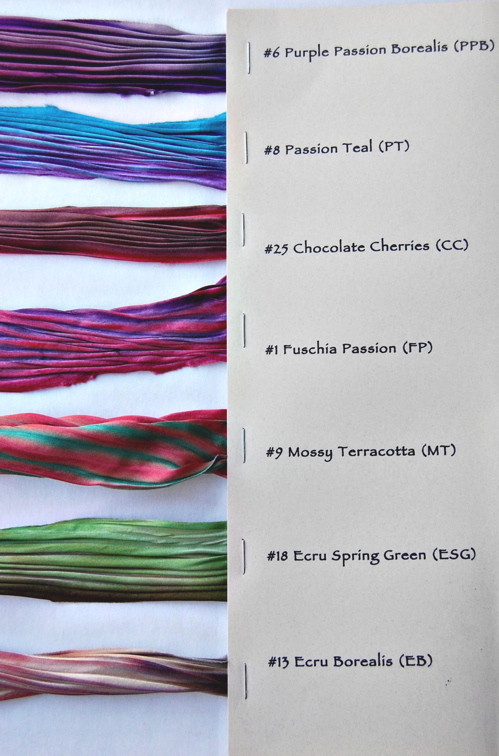 Please email me at glennisd (at) mac.com if you would like to order custom dyed shibori ribbon. 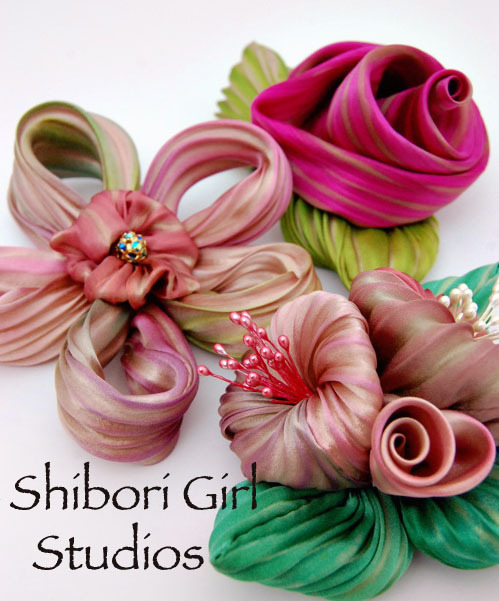 If you’d like instructions on a basic shibori ribbon flower, look here. If you want to see a quickie video tutorial I posted on youtube go here. I would love to take an online class!! just click on the link above for the classes at Joggles! Hi there! I’m writing another book combining machine needle and wet felting and I’m using pleated shibori for some of the (yummy) flowers! Can I use you as a resource? Do you have any more bags of scraps of short lengths I can purchase? I especially need any Iris tones (violet, purple, etc. 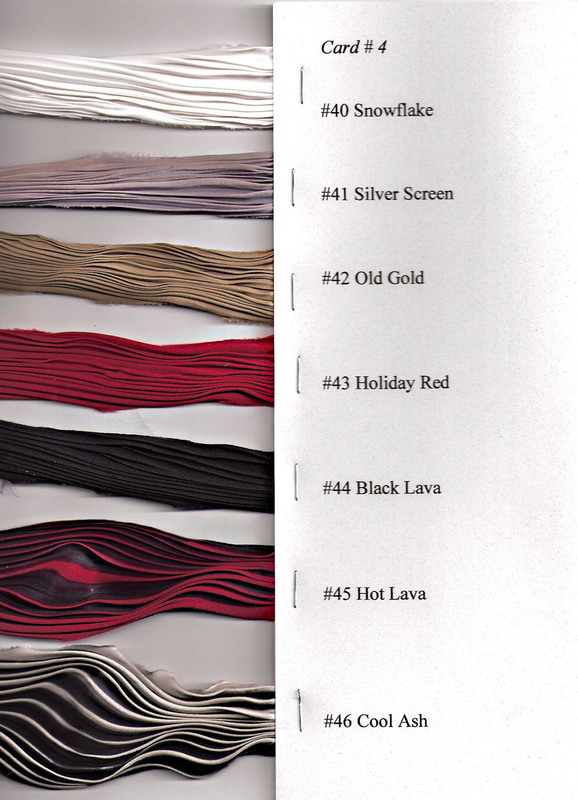 and Poppy tones – reds, pinks, oranges). These are FABULOUS with lots of texture – it’s taken me ages to perfect this technique. thanks Margo- i see your book is now out! have to get a copy and check it out! My husband commented that he liked the pocket squares, but would actually wear one if it had a tie to match. nice! I may have ties in the future- in the meantime, it’s pretty easy to find a tie to compliment the pocket squares- see the photo on my etsy site! 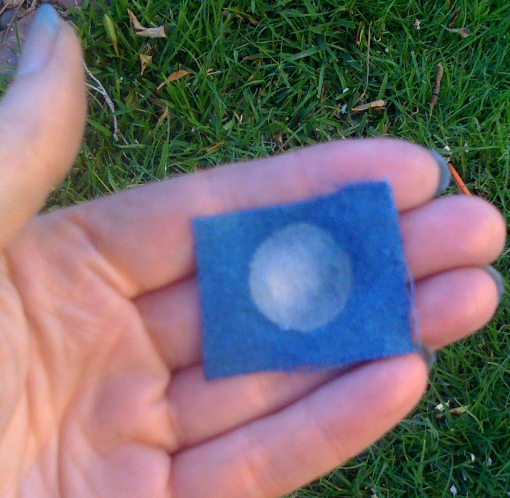 I came across your shibori flower technique, it looks fantastic. I was hoping to incorporate it into my major work, just wondering if there are suppliers in Australia…Or would it be easier to purchase it through your online store. 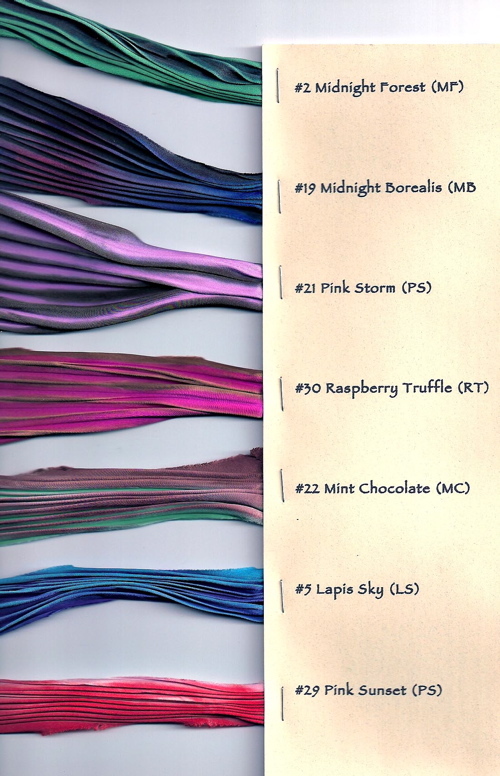 These ribbons are really fabulous. I would like to enquire if I could get them in India or is there any way of procuring these in Mumbai, India. I just adore all your beautiful ribbons ! I am also wondering if there is a UK distributer ?? no UK distributor (yet!) but i regularly ship the ribbon worldwide so feel free to order through the etsy site for now. thanks! Is there a Uk distributer yet ?? still loving your beautiful ribbons, it’s just the cost of the p&p to the Uk. no, but perhaps in switzerland…would that help? I’d love to buy a bag of scraps but my computer couldn’t make the connection to that link. Please let me know what to do. article. But wanna remark on some general things, The website taste is perfect, the articles is in point of fact nice : D.
I love your Shibori ribbon. I live in Florida and wondered if you teach classes anywhere near here. It would be almost impossible for me to get to California. Any help you could give would be appreciated. You can email me directly with any information. Thank you. Do you still offer on line classes? If so where do I find that info? Thank you I want to make silk scarves. Your ribbons are glorious!! you should try not to be too hard on yourself!! I have found it almost impossible to keep all outlets current at the same time. my blog is woefully neglected as I have been more concerned about my two Face Book ages. That seems to be where alot of the action is and I do worry about my blog. Sigh – we do the best we can and you do amazing work!! now I am off to shop for ribbon!!! I love your work and ribbon. I make jewelry Can you tell me how to get some of your ribbon for my cuffs? It’s a lovely one. I can’t ever seen such a mind-blowing ribbon in my life. I want this. If I place order to India today means how many days it will take to reach India. I can’t take my eyes out of the shibori ribbon. 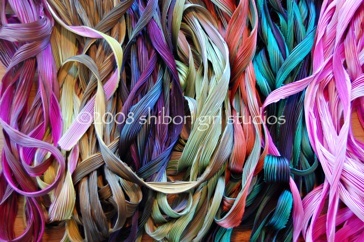 I would like to order the shibori ribbon. Could u please share your price list. the prices on the shop pages are current and accurate. Please refer to the shop page. thanks! 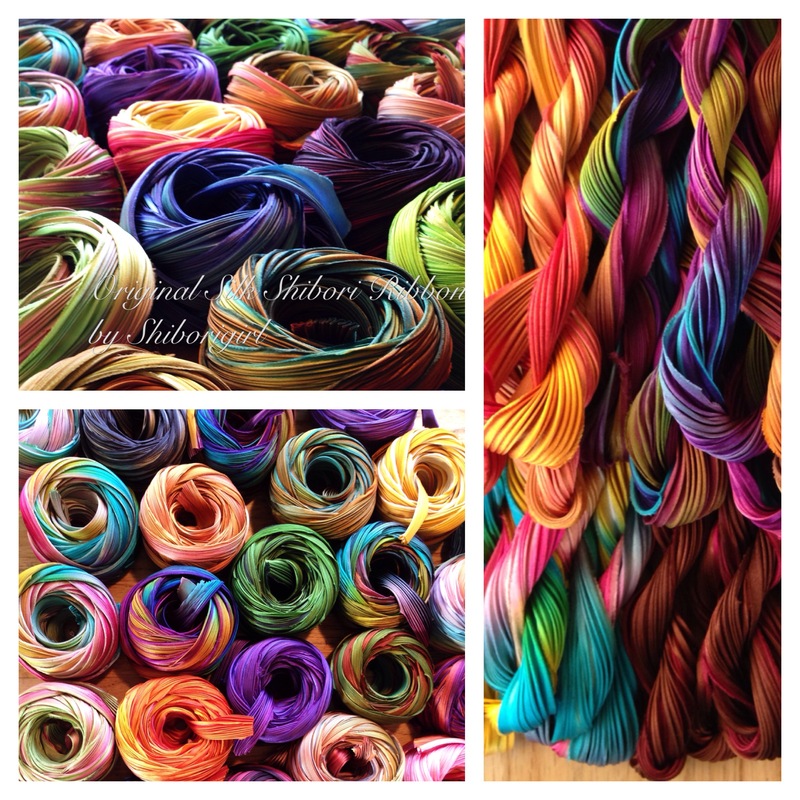 beautiful colors , always love to see them in a haberdashery shop.